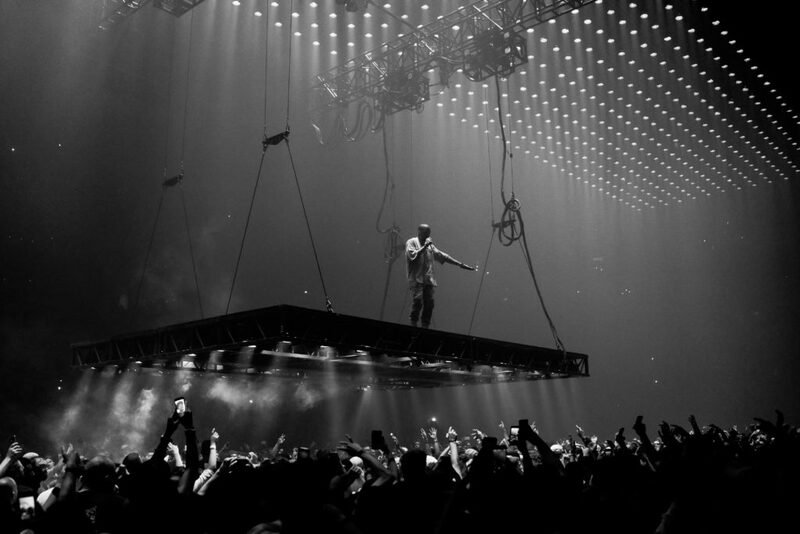 Kanye West cancelled several of his shows during The Life of Pablo tour. The 2007 release of his album “Graduation” and its competition with 50 Cent’s “Curtis” ultimately changed hip-hop forever with its incorporation of a more electric feel rather than traditional rap’s mobster-gang ideology. Shortly thereafter, West suffered the loss of his mother, Donda West, and then the end of his relationship with fiancée Alexis Phifer. West felt he couldn’t accurately express his emotions in music anymore and took to using auto-tune, which took fans aback during the debut of “Love Lockdown” from his next project, “808s & Heartbreak,” during the 2008 MTV Video Music Awards. Though not as popular as his previous works, “808s & Heartbreak” encouraged other hip-hop artists to take risks and pursue their creative side. This proclamation caused widespread criticism from nearly every other popular artist and even former President Barack Obama. Though it was a bold and stupid move on his part, I can’t help but agree with West that Beyoncé should have won. Sorry, Taylor. After pursuing fashion and releasing hit after hit, fast forward several years, and one thing has remained the same — Kanye can’t keep himself away from controversy. With the release of “The Life of Pablo” in February 2016 came the release of his music video for one of the record’s tracks, “Famous,” which featured himself in bed with wax figures of several familiar faces, such as his wife Kim Kardashian, Taylor Swift, former President George W. Bush, the then presidential candidate Donald Trump and Bill Cosby. Swift was furious, and the argument between her, West and Kardashian became very public. Kardashian even went as far as to post the phone call on Twitter in which Swift said she was okay with the song, but then later denied that statement. 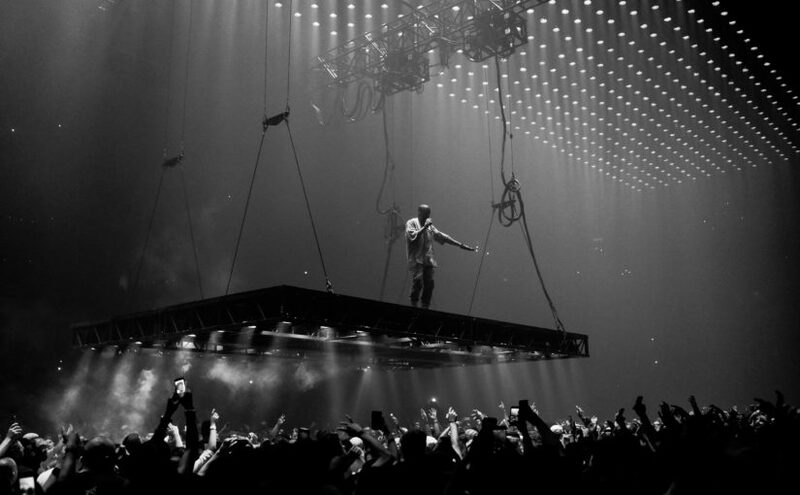 Following his wife being robbed in Paris in October, West cancelled several of his shows for “The Life of Pablo” tour and then cancelled the remaining 21 shows in November after a week of no-shows, shows that were cut short and political rants. Later, West was admitted to a psychiatric hospital for temporary psychosis due to sleep deprivation and dehydration. After an 11-month hiatus, West was at it again. His most recent controversy, arguably his most upsetting, came from when West returned to Twitter in April 2018 with a string of tweets and a political shock that seemingly came out of nowhere. West went on a tangent about how, as a creative person, “your ideas are your strongest form of currency,” and how we should be making decisions based off of love and not fear. This turned into him offering his advice on how to be a more wholesome person and freeing yourself. The politics didn’t stop there. His tweets mentioned Trump, Hilary Clinton and Obama with the only criticism being that Obama was in office for eight years and nothing changed in Chicago. Other than that, he stated that the only person he agrees on absolutely everything with is himself. His support for President Trump came with backlash from his fans and from celebrities. In an effort to explain himself, West released “Ye vs. the People” in April. The track features T.I. as the voice of the people that question everything West says. Only after an official meeting with President Trump at the White House did people throw up their hands, calling for West’s head. People were disgusted with his choice to give President Trump a chance. Maybe we should give Ye a chance. Though now the tables have turned, and it’s looking like that run for the Oval Office might not happen. Most recently, West announced that he is done with politics and will be focusing solely on being creative after being “used to spread messages (he) doesn’t believe in.” Those messages are that of the “Blexit” movement. Ye seems to be drawing beliefs from both ends of the political spectrum, and he only wants to love everyone. There’s nothing wrong with that. Though my only qualm is that all this controversy seems to happen around the time he is about to release an album. Explain that, Ye.